The Charles River is a mainstay for outdoor recreation in downtown Boston. It not only flows through 23 cities and towns, but also overflows with historic importance. The river originates at its source in Hopkinton, and then flows 80 miles through places such as Waltham, Watertown, Newton, Cambridge, and Boston until finally reaching the Atlantic Ocean. The Charles River was once used by Native Americans for local transportation and fishing, and as part of the passage from southeastern Massachusetts to northern New England. These days, however, the river serves many different purposes. During the summer months, it keeps the locals in and around Boston quite active, both athletically and socially. 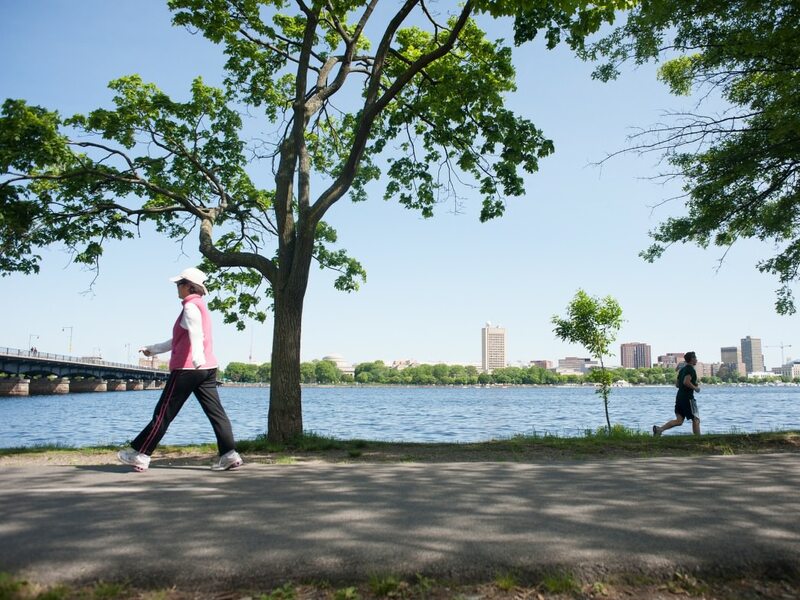 Whether you are looking to stay fit along the river’s bike and running paths, active by sailing its waters, or social by attending the free summer concerts hosted along the Charles, the river really does offer it all. 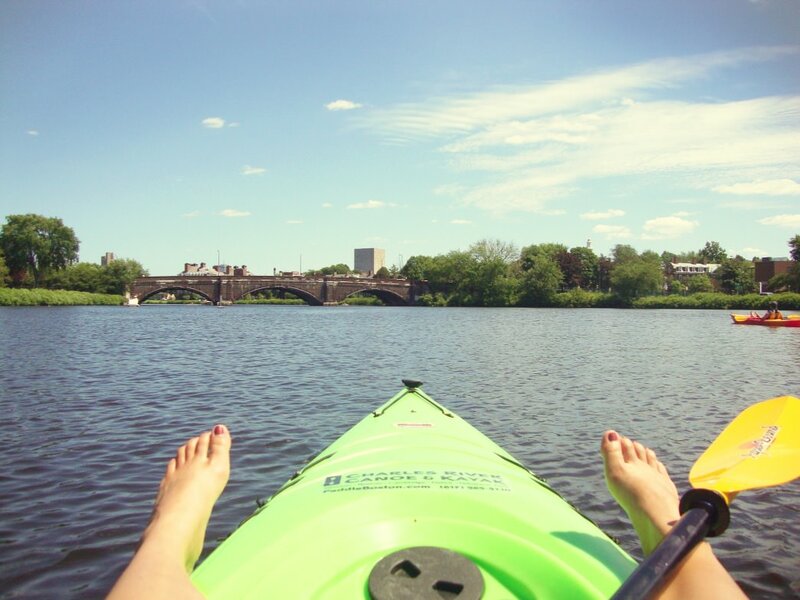 Kayaking and canoeing have been long standing activities on the whole of the Charles, now, with the popularity of SUP increasing, you can add that to the list too. One of the best stretches to get on the river is the Charles River Basin—nine miles of flatwater between Watertown Dam and the new Charles River Lock and Dam. This route takes you under the Galen Street Bridge, the North Beacon Street Bridge, BU Bridge, Longfellow Bridge, and finally into the Boston Harbor. 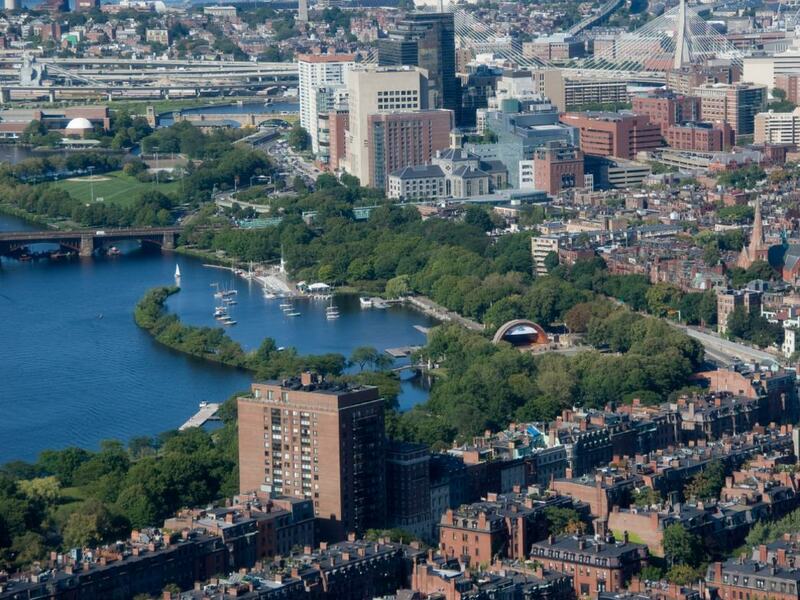 In addition to the scenic views of the Charles River itself, the Esplanade and the Weld Boathouse, you will also get some amazing views of downtown. There are several locations from which to launch, but beware, outside of Cambridge and Boston there are certain spots along the river where you have to get out and drag your kayak for long stretches as it is not navigable otherwise. Two of the most easily accessible locations to put in are Magazine Beach off Memorial Drive in Cambridge and Herter Park in the Allston/Brighton area. 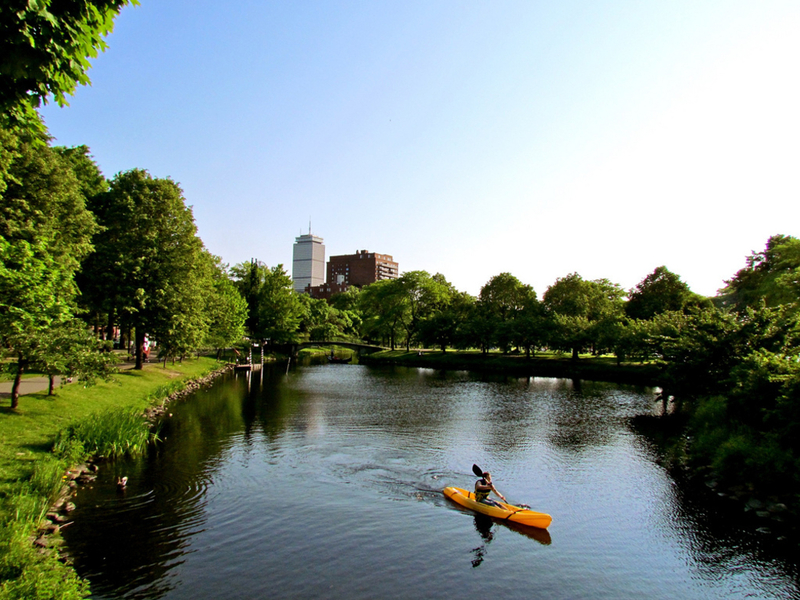 If you do not own your own equipment, Charles River Canoe and Kayak rents canoes, kayaks, and stand up paddleboards near Kendall Square and in Herter Park. For those of you who want to venture on the upper part of the Charles, they also have two additional rental locations in Newton and Natick. Sailing is another fantastic activity that the Charles has to offer. 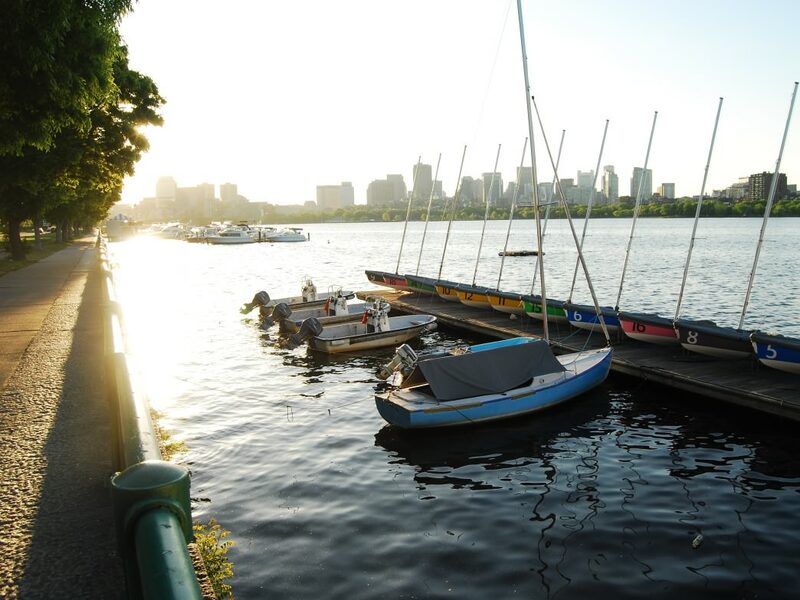 Community Boating, the largest, oldest, and one of the best public sailing programs in the United States, is located on the Charles River Esplanade. It's is one of the most popular programs in Boston for sailing, kayaking, and windsurfing lessons for kids and adults. And, if you don’t want to sail your own boat, you can always hop aboard a guided Duck Boat tour, and get a ride down the Charles as well as a boatload of history along the way. If you are more of a land-lover, biking and running are two other popular activities that locals and visitors alike participate in along the banks of the river. The Charles River Bike Path is flat, paved 23-mile trail that runs along both the Cambridge and Boston sides of the river. Because of the multiple bridges connecting the two cities, the Charles is a perfect spot for you to design loops of varying lengths depending on your needs. You can ride or run the bike path from Boston (the Museum of Science to be exact) all the way to Normbega Park in Newton, passing through the campuses of Boston University, Harvard and MIT, and the towns of Watertown and Waltham. During your bike or run, be sure to stop and enjoy your surrounding environs—the sun reflecting off the water or the many paddlers and sailboats as they float by—it's part of what makes the run really special. It's a good vibe and there are always couples and families sitting by the shore and other runners and bikers out creating motivation for you to finish up that last mile. In addition to the outdoor adventure, one of the most beloved summer activities along the Charles is the free summer concerts at the Hatch Shell. For more than 25 years, local radio stations such as 100.7 WZLX and MIX 104.1 have sponsored free summer concerts in Esplanade Park. Some of the greatest bands of all time—Johnny Rivers, KC and the Sunshine Band, The Guess Who—have performed at the open-air stadium. Concerts usually start at 7pm with a warm-up artist, although hours can vary. The free concert is a great way to end a beautiful summer day, however, you might want to get there early, as the lawn in front of the shell fills up on a first-come first serve basis. Feel free to bring a lawn chair or blanket, however, alcohol is prohibited. These concerts are truly a fun family-friendly event, and one that you won’t want to miss.